In 2014, livin launched a review into ways of modernising and diversifying its services. This was coupled with an increased sense of managing risk, achieving value for money and protecting core services for tenants. livin commissioned arc4 to assist the organisation in carrying out an assessment of the opportunities within it's existing catchment, and potential new areas of investment. Our focus was to assist livin to identify locations for investment. This was determined by undertaking a strategic housing market assessment (SHMA) in fourteen local authorities, scoring each opportunity before allocating further time to carry out a review of local housing markets. Within each preferred location, we provided population and household projections (including age profiling), and used district level forecasts and the local context to identify sub-district broad figures, which were utilised in smaller geographies. This was focused by tenure and size so that robust data could be provided for household demand up until 2021.
arc4 also conducted an analysis of the existing planning documents for each geography; and spoke to the strategic housing board for each local authority to identify their existing priorities, and how the planning authority was seeking to accommodate for new growth. We also conducted a review into what new housing provision had recently been completed and what was in the development pipeline (including what stage new ventures were at in the planning process), by geography and how these related to livin’s target areas. Part of our work was also to verify housing market data by carrying out a local letting agent review. arc4 contacted around four letting agents in each geography, gathering detailed information about the PRS and sales market in that area, including: how it is changing or growing, popular areas, popular properties, demand and supply issues, what clients are looking for, target demographic groups, void rates, rental growth rates, affordability and occupancy rates. arc4 also conducted a review of the potential land availability within each operating area, and identified other future potential operating areas; coupled with a review of livin’s competitors’ activity. Finally, we analysed a range of potential funding sources and delivery models. 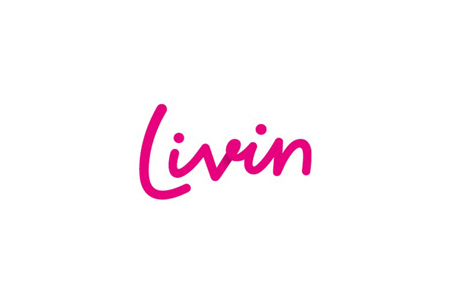 Livin is now able to access a strategic baseline position for its geographies, and is in a position to begin making strong future investment decisions.